Alcibiades was an Athenian who was influential in the creation of turmoil in his home city that went a long way to explaining the defeat by Sparta in the Peloponnesian War (431–404 b.c.e.). Alcibiades was a controversial and divisive figure, and his legacy in part continues to be colored by his character flaws even millennia after his death. Thucydides, Plato, and Plutarch recount the adventures of Alcibiades in their histories. Alcibiades was born into a powerful family, and his father commanded the Athenian army at the battle in which he was killed. Alcibiades was then only about seven years old, and he became the ward of the statesman Pericles. He subsequently entered into Athenian public life in the political and military fields. Owing in part to his background, he quickly achieved high office and served with distinction. At the Battle of Delium, he assisted Socrates who had been wounded and in turn benefited from the older man’s advice. However, Alcibiades was too extravagant a personality to abide by the moral strictures that Socrates required of his pupils. Indeed, association with Alcibiades was later part of the charge brought against Socrates for corrupting the youth. Alcibiades was busy establishing himself as a leading personality in the Athenian assembly, the Ekklesia, while also becoming known as a budding socialite. His family had enjoyed personal relations with Spartan interests, and he had anticipated that he could call on these connections to broker a peace agreement to end the Peloponnesian War. However, Spartan leaders refused to countenance this personal approach and insisted on formal arrangements. Subsequently, Alcibiades pursued an anti-Sparta policy that probably perpetuated the war, arguably from a sense of pique. He organized the alliance with the Peloponnesian city-states of Argos, Elis, and Mantineia. The alliance was defeated at the Battle of Mantineia in 418, which led to Spartan dominance of the land and forced the Peloponnesian League to seek new fronts in the war. It was the necessity of opening a new front that led to the Syracusan campaign in Sicily. Alcibiades positioned himself to be one of the leaders of this campaign, but on the verge of the expedition leaving, statues of the god Hermes were found to have been mutilated and, on rather circumstantial evidence, Alcibiades became accused of violating the Eleusinian Mysteries. He sailed with the expedition, but inquiries continued during his absence. When it was determined that he should return to Athens to answer the charges against him, Alcibiades fled to Sparta and ensured his safety by providing the Spartans with valuable military advice. He made himself less popular by supposedly seducing the wife of the king of Sparta. Eventually the Spartans tired of Alcibiades, and he sought to make a new career for himself by courting the Persians, who saw the turmoil on the Greek mainland as a possible opportunity to expand their influence. 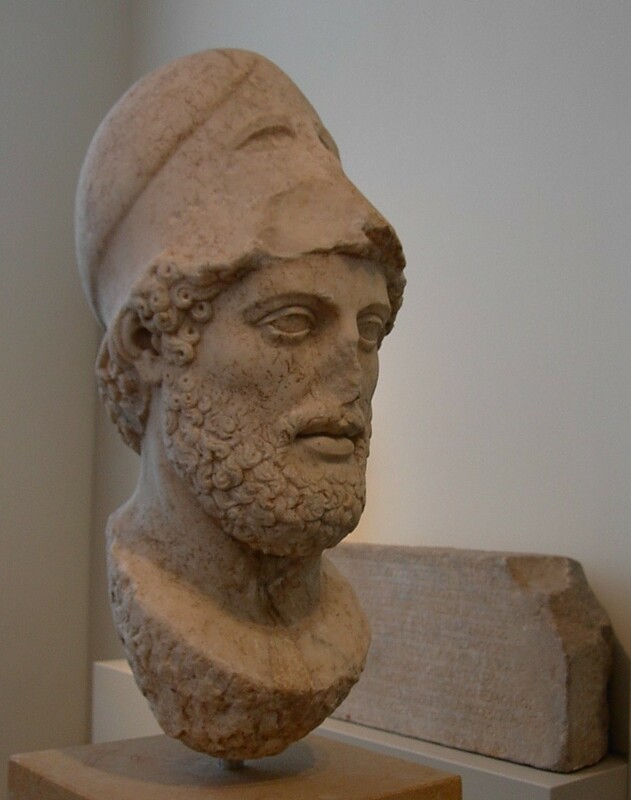 For several years Alcibiades switched sides from Persia, to Athens, to neutrality, depending on the political winds. Brilliance of expression and savoirfaire were combined with total lack of scruples as he sought for the best advantage for himself. Finally Spartan naval victories secured a decisive advantage, and they took the opportunity to cause the governor of Phrygia, where Alcibiades had been taking shelter, to have him killed. Thus ended the life of one of the most vivid personalities of ancient Athens, who could surely have achieved genuine greatness if he could have married his gifts with some sense of personal integrity.